His men are beginning to run amok in the city , finishing off anyone standing in their manifest destiny---which is to ultimately gain control of the whole state . He dares to go against authority , and more importantly against the fears of his own wife that he might be killed in action. So wins the game amidst all this mayhem ?? Four magicians pull off a heist---and with what verve and panache and mind blowing speed.....!! The film certainly begins well as the four magicians pull of a sensational robbery of a french bank in a magic show in Las Vegas by teleporting a man to the bank and helping him rob the money---money which is showered on the audience watching it . The special effects are dazzling and a visual treat . Revenge for past wrongs , revenge for past sins committed against someone.....But the question is---whom ?? The question again is---why all this elaborate deception , and by whom and for what purpose ?? But then , not all fridays ( actually I saw the movie in sunday ) are lucky for the audience---are they ?? American sniper is a real life action movie dealing with the life of Chris Kyle ( played by Bradley Cooper ) , a soldier of America . He was a remarkable sniper , using long range telescopic rifles to shoot enemy soldiers at extreme range using the telescopic sight of the rifle . He was able to pile up a deadly body count , killing upto 170 people in action in Iraq . Of course , he was only doing his job . Looking at things from his point of view , he was able to save countless American soldiers who would have been targets of those they were fighting in Iraq . And that is the point of view of the movie too , for it practically paints him as a heroic figure who was fighting for his country . To be honest , there is the viewpoint as to what was America doing in Iraq in the first place . It should not be forgotten that Americans invaded Iraq with false claims of weapons of mass destruction that they knew Saddam didn't possess . They invaded Iraq against the wishes of the majority of the world , without caring for world opinion . But the movie has no scope for this discussion . It neatly and clinically shows the fighting that Chris was involved in , and intersperses it with considerable glimpses of his family life . In particular , his relationship with his wife ( played by Sienna Miller ) is built up well . Of course , the contrast in life of the people who have sent their armies ( Americans ) and the people in the war zone ( American soldiers and Iraqis ) is unbelievable . In Iraq , Chris is dealing with a situation where Iraqis are up in arms against what they perceive as an unprovoked aggression of the country---leading to fighting in which people are dying dog's deaths....while when he comes back home , his wife is more bothered about his increasing blood pressure !! There is no doubt that Chris is a person with a special aptitude for his job . He is no liberal with the weak heart of a sissy . When he was growing up back in Texas , his father taught him not to back down from a fight if he or his younger brother was threatened---on pain of being whipped by his drawn belt . He was a cowboy before he joined up to the armed forces in response to seeing terror attacks against his country on television , and his childhood memories consisted of hunting animals along with his father using accurate marksmanship of his hunting rifle . He is shown to be the quintessential family man . After some relationships with women , he settles down to holy matrimony with his wife . He is not shown to stray with other women after marriage even though he is away for long periods from his wife due to his duty in Iraq . And he also cares for his younger brother . So what happens of the task of capturing the butcher ?? And can Chris kill the Iraqi sniper Mustafa ?? So where is the body ?? 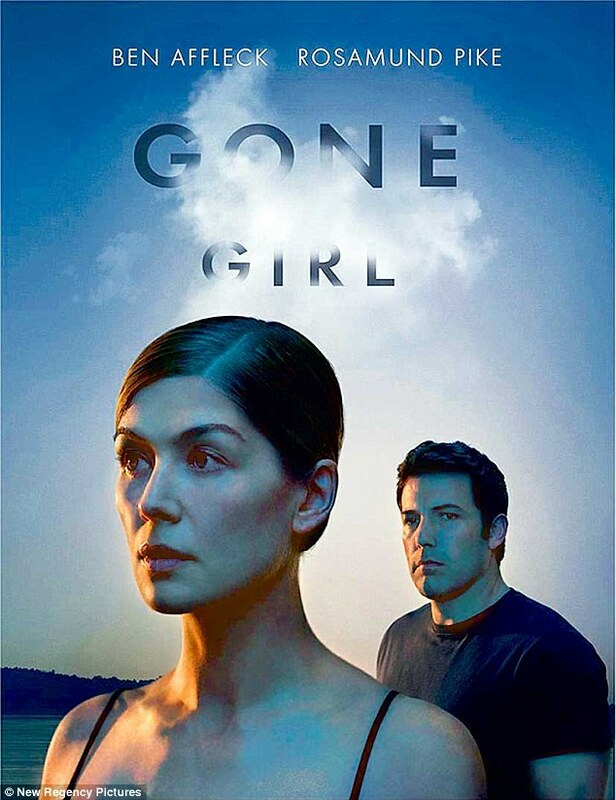 And what is the meaning of 'Gone girl' ?? Does it mean that his wife is gone ?? Or does it mean that she is/was a 'Gone case' ?? But just how much does it brimmeth over ?? I also liked the acting by the actress who played Ben's sister---and the sister is loyal and so supportive all the way, so loving , so caring....Vow !! I wished I had such a sister....Why doesn't God make such women any more....?? Some parts shown in the film were not realistic , but that is to be expected in this kind of movie---for what is a good movie without these kind of bloopers ?? Last edited by MsShaanze; May 31st, 2016 at 11:27 AM. American Sniper.. Think I watched on redbox. What a movie.. and what a story, and an abrupt ending. Leaves you silent and teary eyed. The movie begins with a play gone horribly wrong in a school---the actor is to be shown to be hanged , but the base on which he is standing crumbles abruptly and he gets stuck in the gallows and gets really hanged to death . Decades later , the same play is to be enacted again in the same school . All the sets are placed in position , including the gallows of the hangman . But the night before the play , a group of disgruntled students decides to play havoc with the sets . The students have discovered that a door to the interior of the school has a broken latch and they can enter the school at will in the night . So they enter and find that some attractive female students also want to come in . Having created havoc with the sets , the students decide to get out---only to discover that the door through which they came in is now firmly closed and they can't get out . To be honest I was expecting this---what else could happen....? As the body count piles , you wonder if anyone will get out alive . The scares in the movie are pretty routine stuff , but you do get the jolts every now and then . But then , I am a aficionado of horror movies---primarily because I don't get scared much of them and can sleep well at night even after watching them ; yes , not being able to sleep well after watching a horror movie is a major reason for people not watching them . But for me it is not an impediment . The ending is bad and the director should have thought of some way better to end it . Nick Nolte's family has splintered long ago , primarily because of his heavy drinking . His wife left him long ago , and her younger son ( Tom Hardy ) chose to go along with her . She was sick due to a fatal disease , and Tom had to take care of her alone---because his father and his older brother ( Joel Edgerton ) never knew about that . Joel too broke ties with his father , but chose to remain in town because he was in love with a local girl ( Jennifer Morrison ) and he married her . He became the more stable of the two brothers because his life was settled by domesticity . But misfortune struck as his daughter was having a heart condition and he had to mortgage his house for treating her . So he decided to earn money by taking part in professional fighting . However , the news reached his school where he has a job as a teacher and he was suspended . Younger brother Tom Hardy however has been emotionally shattered by his mother's death , which he had to face alone when he was young . He becomes an ace marine who is a real hero because he saves the lives of other soldiers , but is too emotionally distraught to try get a medal for his brave act . He is further emotionally wrecked when he and his comrade are attacked mistakenly by his own country's warplanes in Iraq and his comrade is killed . He deserts the marines and gets a new name because he feels forsaken even by his country . But he decides to help his comrade's wife , and decides to fight in a mixed martial arts tournament to win 5 million dollars and give the wife that money . And whom better to train him than his father Nick Nolte , who was an ace trainer....but as his father ( who has given up alcohol now ) tries to make a bond with him , Tom rejects any personal feelings and refuses to rebuild their relationship . Nick Nolte now tries to reach out to his older son Joel , and Joel is not ready at first and refuses to let him meet his daughter and wife . But being the more stable of the two brothers , he finally forgives his father . His more pressing concern however is to earn money by entering the mixed martial arts tournament himself . So both brothers are destined to meet in the ring . It is Tom who is the more powerful of the two , as his life's experiences have made him a meaning killing machine....without emotion , rentless . On the other hand Joel is more capable of taking a beating without backing down and then persisting and beating the opponent . And soon news spreads about Tom's heroism during his marine days and the marines turn up as spectators to cheer him . Joel's students ( whom he taught at school where he was a teacher ) too come to know of his new career and they turn up to watch the tournament to watch him . So both brothers have their own supporters . But whoever of them wins , it's all going to be in the family....or is it ? For there are other fighters in the tournament as well including the unbeatable Koba from Russia . As the movie gets more violent with what the punches being thrown and kicks landed and wounds inflicted , it also gets more emotional as the three ( father , brother and brother ) grapple with their feelings for one another . But out there in the fighting ring , it's a cruel world where the one who can take maximum punishment can survive . The climax is a gem where inspite of all the animosity that Tom has with Joel for not choosing his mother over his girlfriend , the two estranged brothers are able to make a connection in the ring---but not before we are treated to some real action of mean fighters having a real go at each other . saw THE HURT LOCKER . It is a supposed-to-be-realistic portrayal of a squad that defuses bombs in post 2003 iraq . its team leader gets killed and the new leader is as unconventional as it gets . glamorises the work of soldiers who defuse improvised explosive devices . actually the work is very painstaking and dangerous . the task before the team however is endless , just like the iraq war . the more they defuse bombs they more the iraqis come out with IEDs . above all one feels the hopelessness of fighting an endless war in a muslim country where everybody is seething with violence . more of an art film than commercial . acting is good by eveyone and photography is good . Utterly stupid article I must say, the movie won only 6 academy awards, including the Best picture for 2010, and Kathryn Bigelow became the first woman to win an Academy Award for Best Director. Amazingly , history itself teaches us that the lessons of history are never learnt and therefore history is condemned to repeat itself. Just like they had destroyed Iraq in 2003 and killed Saddam and created a failed state , in 2011 the western powers intervened to destroy the regime of another dictator/tyrant---muammar gaddafi of Libya . Result---another failed state and death of the US ambassador Stevens, who was killed by insurgents. Just saw the movie '13 hours' on the killing of the US ambassador and the harrowing time US personnel living in Benghazi had trying to fight with an overwhelming number of insurgents. Several US personnel were killed too . The movie shows all the fighting in gory detail. Seeing the movie made me revisit the mistakes made by the western powers in the so called Arab spring . I would rate the movie as good and give it three and half stars out of five. 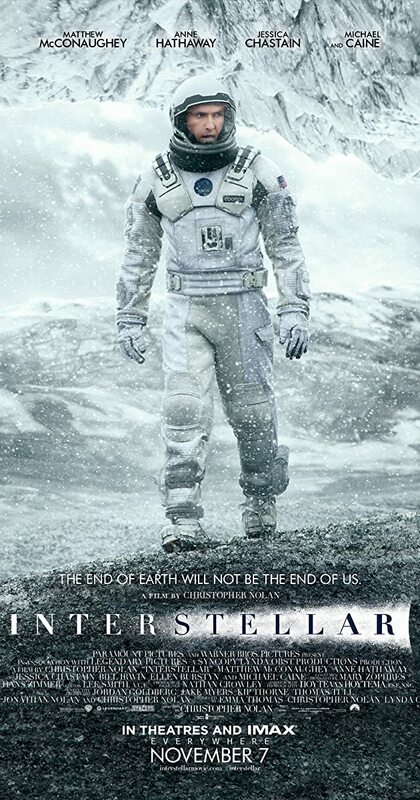 Christopher Nolan's INTERSTELLAR starts one one spectacularly grand premise---that all the speculations that scientists and astronomers make about existence of wormholes in the universe and black holes being conduits for space/time travel are true....to the best of my knowledge all these theories are unproven but the movie assumes them to be true ; or rather it assumes that they will be proven in the future . And that future is not the future as we envision it , but it is if fact a bleak future...living standards everywhere have fallen , and humanity has been reduced to trying to eke out an existence by farming because there is lack of food on earth---dust storms regularly imperil even the existing crops . So the leading actor of the film ( Cooper---played by Matthew McConaughey ) , whose talent of flying a space shuttle has been lying unused because of the lack or resources until now , is selected to command and fly a space mission through a wormhole across space and time . He has to fly it to distant planets in some other part of the universe to find if one of them is fit for supporting permanent colonization of humans , where other humans have already been sent a while ago . So are 'they' ? Are they extraterrestrials who want to help us ? Or is it God himself ?? And does Cooper and his crew succeed in finding out a planet where he humanity can thrive again ?? Above all , what about his family and crying daughter whom he has left on earth ?? Will he meet them ever again , lost as he is across the mists of space and time ?? What about his pain and anguish about not seeing them grow up , and his daughter's pain and anguish at not being able to be with her dad ?? To be honest only some astronomer can tell whether all the science fiction shown in the film can come close to truth in reality . And frankly I could not fully comprehend some of it .But one has to give credit to Nolan for undertaking a science fiction adventure of such grandeur , and showing it with some nice special effects . It's not a regular thriller at all....but one which relies on the incredible scope of the undertaking ( travel through space in double quick time to find a habitable planet in another galaxy ) to awe us , rather than rely on giving thrills and shocks every few moments like other thrillers . ....And it does awe us , for the scenes like the visuals of the wormhole and sightings of the black hole and the ride through the event horizon are the stuff that astronomer's fantasies are made of . And that's why---a little bit of basic reading of astronomy , if done in the past , will come mightily handful in watching the movie . But some scenes , like the tsunami in the sea on the new planet , and the stark topography of the other planet , are breathtakingly photographed , or rather created by the special effects team---for no one has really traveled to distant galaxies to film anything there . Music of the movie does inspire you however . Acting in the film can be called good , especially by the lead actor but also by others . Maybe the movie relies too much on that fragile emotion called love to propel the story forward , or maybe that's the director's way of keeping the audience interested in the midst of all the advanced science fiction . Some gadgets , like the robot which talked and joked besides walking and leaping and calculating faster than humans ( did the robot even wink in one scene ? ), were nice . The idea of fixing the robot's parameters like honesty and humor etc to a certain percentage was funny and likable . The ending of the movie was a nice touch ; did it hint at an impending romance ?? And...was the bad guy in the film really a bad guy , or was driven to badness by force of circumstances ?? Once more Christopher Nolan has given us a cerebral thriller , which makes other movies that rely on special effects look shallow in front of it . But has he exceeded his intellectual reach beyond what the audience can fully understand and digest ?? To be honest , I was tempted to give a full four stars to the movie , but reduced it by half a star because the movie is not easy to understand . The movie has the feel of a great movie throughout , as if we are watching something epic---is it because it is a Christopher Nolan movie ?? Has the sheer fact that the movie has been made by HIM weighed on our minds to create the effect of greatness ?? I prefer to believe not , but there is no denying that the publicity that the movie has got and the fact that people in a distant country like India are flocking to the theaters ( almost no tickets were available in Mumbai/Bombay in India---where I live ) to see the film is due to HIM .
" Mad Max Fury Road " <-- how come no review from you on this ? It was 2015's No. 1 movie,... IMHO.